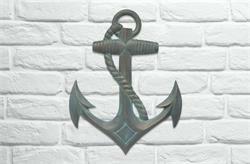 Anchor Wall Decoration. Cast aluminum wall decoration with your choice of three finishes. Bronze Verdigris, Classic Copper, or Oil Rubbed Bronze. Anchors Away! 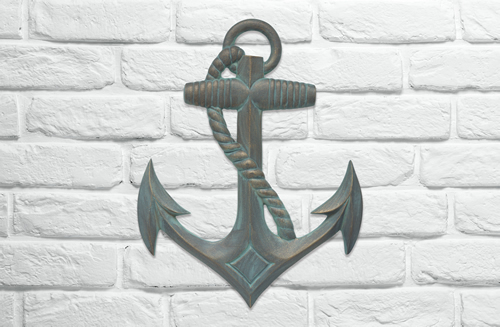 This Anchor Wall Decor is an easy way to add a little touch of the sea to your indoor or outdoor space. Manufactured from cast, high-density aluminum alloy and protected by our exclusive Alumi-Shield™ all weather coatings. Product Dimensions: 22" x 17" x 1".